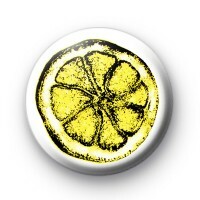 A stone roses inspired lemon badge in with with a yellow lemon. Perfect for those who loves that madchester scene from the nineties. Hacienda inspired 25mm button badge.